The Universal Label Printer is a fully digital UV DOD piezo inkjet printing system ideal for printing on adhesive labels and other substrates suitable role such as aluminum, medical paper, Tyvek, transparent films and PSA labels. 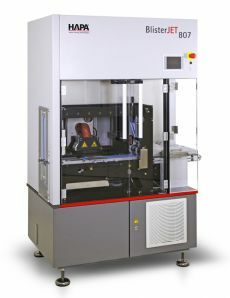 The BlisterJet is specifically designed to print on sealed, pre-printed or unprinted blister. The fully digital UV DOD inkjet system provides perfect output quality in one or more colors and is ideal for late-stage customization. UV Flexo technology is ideal for printing blister in large quantities. The rotary printing is unformatted and compatible with both intermittent and with continuous blister machines. No tools or cleaning required for the color change - and even without printing experience the systems can be used easily. The Easy Flex is a popular UV flexo standard model and ideal for inline printing on Blisterverpackungsmaterialien. 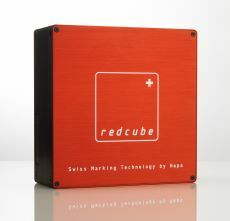 Free format and in a compact design, it can be easily integrated into virtually any packaging machine. 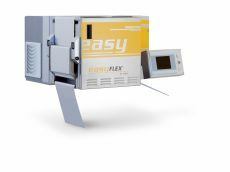 The Easy Flex meets all the requirements for on-demand flexo printing solutions. The UV Hybrid combines two technologies in a pressure system. The cost UV flexo and fully digital, highly flexible UV DOD technology were developed in a joint operation, but also work independently - so worth every run. 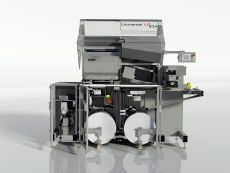 The hybrid combines the UV flexographic and UV DOD technology in a system. Whether the two technologies work together or individually, as hybrid achieves optimum results with an optimal price-performance ratio - with every order size. 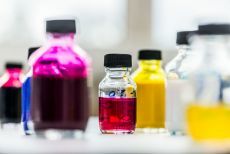 Hapa Ink provides individual inks that are tailored to the needs of a particular application. And the desired quantity in each, no matter how small. Hapa inks are ideal for printing on plastic, aluminum, glass and label material of all kinds. The performance of our white ink is unsurpassed.